Vaccines provide important immunity from serious diseases, including those that are most common during childhood. 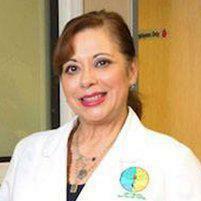 At Optimal Health Care Center in Los Angeles, CA, Dr. Martha E. Rivera offers safe, effective vaccines developed under stringent guidelines to help children and teens stay healthy and avoid major illnesses and their consequences. "I would highly recommend Dr.Rivera." "Would definitely recommend Dr. Rivera to anyone looking for pediatric doctor." "I am very pleased and confident with the quality of care that my children receive here." Babies are born with a certain amount of natural immunity “inherited” from their mother while in the uterus. But natural immunity is very limited, and that means children are exposed to many serious illnesses that can cause devastating effects. Vaccines augment the body’s natural immunity to help ward off diseases like mumps, measles, and tetanus. A vaccine contains a very tiny amount of the germ that causes a specific disease. Once the vaccine is administered, the body begins producing special disease-fighting organisms called antibodies that help prevent the disease from developing. Once the antibodies are in place, they remain active for a long time - sometimes for years - preventing that illness from occurring. Most vaccines require several shots to become completely effective, and some require ongoing boosters to keep antibodies active and potent. Will Immunizations Make My Child Sick? No, vaccines don’t cause illness; however, they may cause mild flu-like symptoms including low fever and mild aching for a short period of time - usually a day or two - as the body builds up its antibodies. Some mild swelling and tenderness may also occur near the injection site. In rare cases, a child may be allergic to a vaccine. If a child has allergies or asthma, it’s important to let the doctor know before a vaccine is administered to help avoid these reactions. What Vaccines Does Your Practice Offer? We also offer "booster" shots to maintain immunity over time. How Can I Tell Which Vaccines My Child Should Have? The American Academy of Pediatrics and government agencies have recommended “schedules” of vaccines children should receive in order to stay healthy, avoid serious diseases and prevent passing diseases to other children or adults. Our office stays up-to-date on all current recommendations and we can also provide vaccinations to satisfy school, sports and travel requirements. Dr. Rivera accepts most major insurance plans. If you have any questions, don't hesitate to call our office and one of our knowledgeable staff members would be glad to help.